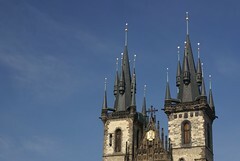 As the name suggests, Old Town Square is situated in the Old Town area of Prague. 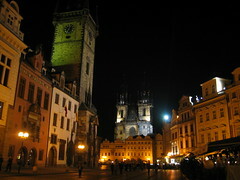 It is a historical square which can trace its history back to the 10th century. 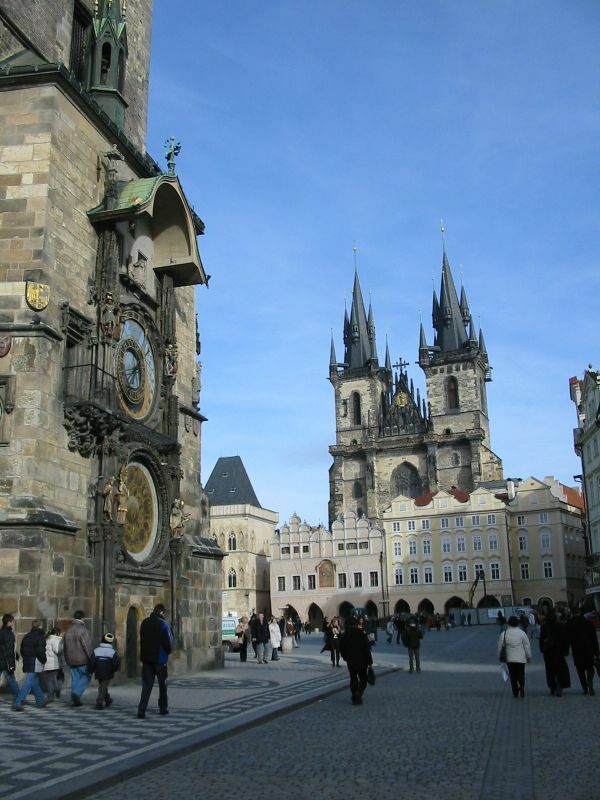 It is located close to Prague's other popular tourist destinations such as Charles Bridge and Wenceslas Square and is the oldest square in Prague. 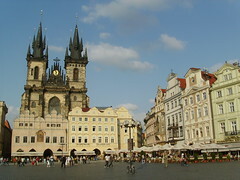 Surrounding the square are a variety of historical buildings, constructed using various forms of architectural styles, such as Baroque and Renaissance. The square has historically been used as a market place and today it continues to hold the popular Easter and Christmas markets. These attract large numbers of local residents as well as tourists. 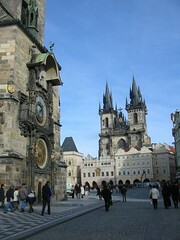 Buildings of interest surrounding the square include the gothic Church of Our Lady before Tyn, the baroque St Nicholas Church and the gothic/renaissance Astronomical Clock. There are also many well preserved private residences which have architectural significance as several still retain part of their original Romanesque or gothic structures, dating back to the 12th century. 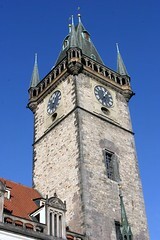 To obtain a good perspective of the area, a visit to the top of the Old Town Hall tower is a must. From this vantage point, a panoramic view of the Old Town is possible. 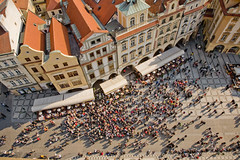 One of the most famous people in medieval Prague was Jan Hus. He was a Czech philosopher and master at Charles University. He is mostly remembered as the person who led the reformist's movement, also known as the Hussites, in the early 15th century. He was burned at the stake by the Catholics in 1415 and a statue in his memory adorns the Old Town Square. Located on the pavement is a marker called the Prague Meridian, it is positioned on the spot where in 1650, the Marian column stood. 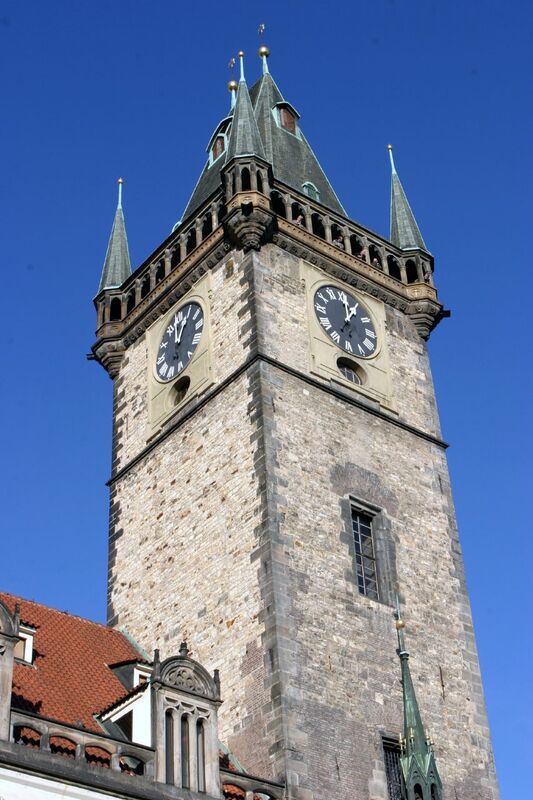 The Marian Column was one of the tallest columns in Europe at that time and it would cast a shadow in the square indicating the time of day to the townsfolk. It was demolished in 1918 and the Prague meridian was positioned in such a way as to replicate the shadow created by the Marian Column at midday. The town square has also been used as a place for executions with several notable people having met their end here. A memorial, in memory of the 27 people executed for taking part in the uprising against Emperor Matthias in 1621, was created by embedding crosses in the pavement of the City Hall, each representing one of the executed people. 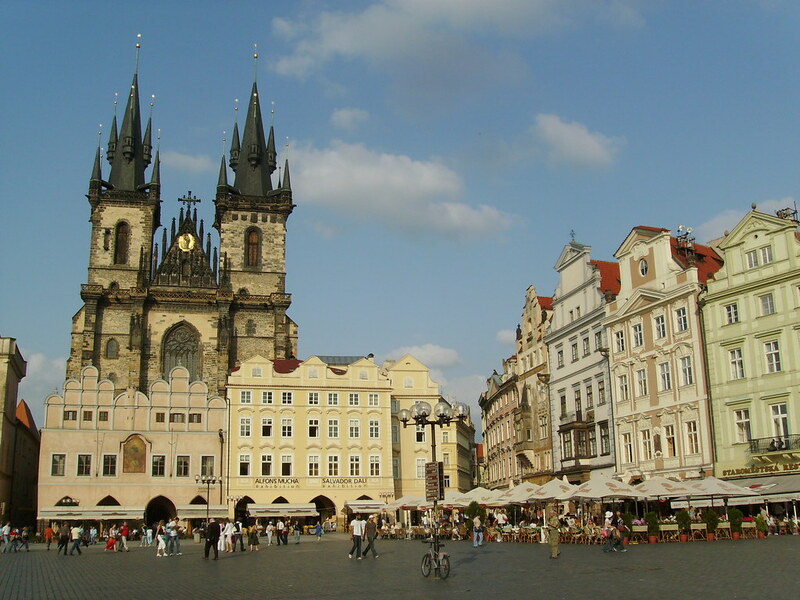 The Old Town Square is one of the main tourist and meeting places in Prague and here you can also find the Prague Tourist Center. Historical buildings are interspersed with a wide variety of eateries including up market restaurants and shops. Many of the restaurants set up in the open air and this is especially popular in the summer time. A visit to Old Town Square gives you an historic glimpse into medieval Prague. Old world mystical charm. Don\'t miss. Be sure to have dinner as the sun sets at the rooftop restaurant at Hotel U Prinze. The food rocks and the view over the square will amaze. 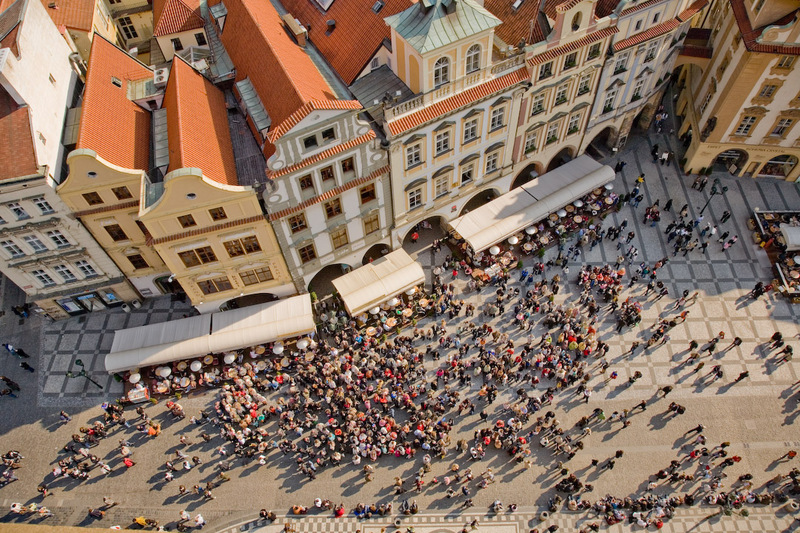 Have you already visited the Old Town Square? If so, let everyone know what you thought about it by writing a review! No registration necessary. Just click here to start writing! View all Old Town Square Pictures.